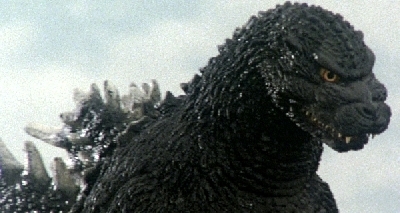 With the popularity of the first few Godzilla films in the United States, Toho Studios of Japan began the practice of having the movies dubbed in Asia for overseas export. These versions are often called "international versions" by fans. Most US distributors would commission their own English dubs, and as such, many of these international version went unused in the US. 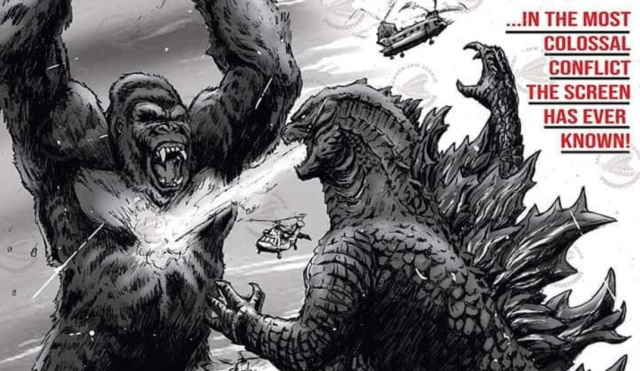 By the time Japanese monster movies were losing popularity in the 1970s, US companies would release Toho's international versions with edits, only removing harsh language and moments of violence. 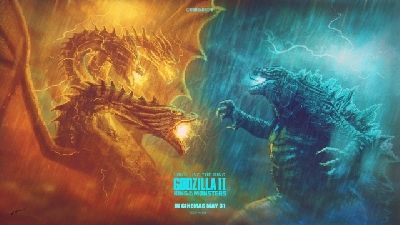 With the exception of Godzilla 2000, every Godzilla film released in the United States after 1985 has been an international version commissioned by Toho. I’m not aware if any of the dvd releases include the dubbing of the movies done by Titra, as all of mine are the international versions so for anyone that didn’t get into Godzilla until after VHS you may not know of the dual dubbing a few of the Godzilla movies have. Usually these movies make cuts and alter the movie, however in terms of dialogue I haven’t noticed a huge difference between tohos dub and Titra’s outside the voice actors. 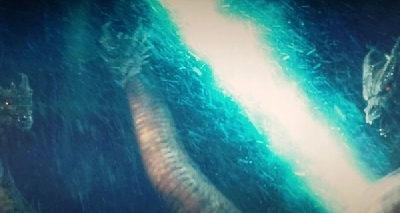 In a few instances(Son of Godzilla, and Ebirah, Horror of the Deep) I personally prefer the dubbing done by Titra, not saying it’s a better versions as I said they usually alter cuts with opening scenes being big target of change, but in terms of the dubbing alone I like the voice actors and their portrayals of the characters. So for anyone who has seen the Titra versions of these movies and the toho dubs how did you feel Titra did in the dubbing alone? Were they able to come up with superior versions or do tohos stand above them in your opinion? Quite frankly this topic is uneccesary, and really not worthy of space. this is something that can be discussed in the SB not here. While this is an unique topic discussing subtitles/dubs space should be reserved for other types of in-depth topics. Lol, you're funny; feel free to report it to get it closed if you truly feel that way. That's a baiting comment. Knock it off and play nice or don't play at all. Simple as that. I'm not going to let a good topic get derailed, so I suggest you shape up. I also don't want to see anyone else reply to Alx's baiting. Excellent topic. I was wondering if anyone would ever bring this up, notice or if most fans on here were too young to remember. The first edition Destroy All Monsters Bluray/DVD released by Media Blasters actually includes both the International Dub (that was used by ADV for their VHS/DVD release in the 1990s) and the Titra dub (used for its North American theatrical release). As of right now it's the only movie to have been released with the Titra dub. Even then, the first edition of Destroy All Monsters from Media Blasters is a rare find in of itself. I think the the Titra dubbing was much better. It often included better actors and delivery at the expense of changing dialogue and removing parts of the movie. Godzilla vs. 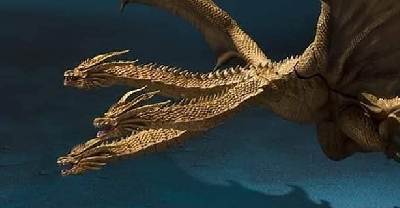 The Sea Monster and Destory All Monsters probably had the most notable changes in quality. Having lost the former's VHS release, it's lost to my ears forever. I've heard of fan attempts to find old Titra dubs and sync them to DVD/Bluray versions of the film. However, if they're successful it means they would have to use at least part of the international dubs for scenes edited from the Titra cuts. If there are any movies that deserve a Titra-esque treatment it's the Heisei and Millennium series. 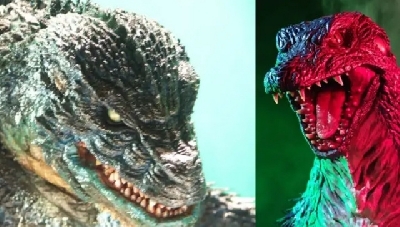 (Sans Godzilla 1985 and Godzilla 2000.) The international dubbing seemed to have gotten progressively worse and more rushed by those two eras. I don't watch dubbed versions anymore (unless it's Monster Zero), but it would have been nice to have had decent dubs for fans when the Heisei films were first brought over. I'll never watch a Godzilla film dubbed past 1984 again. 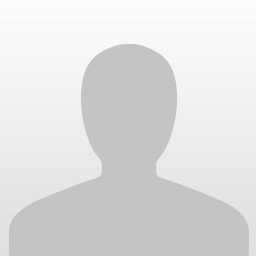 Alx, i suggest you stop your arrogance and act like a nice Member. Durpoo Excellent, excellent topic im giving this a feature thank you for this! Personally the only reason I list Son of Godzilla is because Peter Fernandez's voice as Goro. While I don't have a big problem with Burr Middleton I feel Peter's voice goes better with the young stubborn journalist that Goro is. 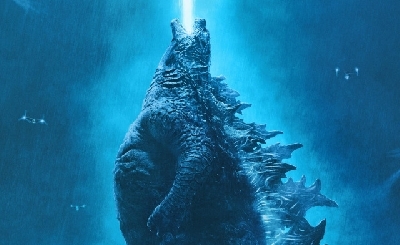 Of course if that didn't particularly grab you I could see Son of Godzilla not being a noticable difference. If the Titra versions were ever released on DVD I'd be at quite the crossroads. While I'd hate to own two copies of essentially the same DVD I don't think my inner child could pass up that chance. Of course I still have the VHS's too so maybe it wouldn't be quite the loss. Oh and Gorillagodzilla while I'm very thankful you find the thread to be a good topic I agree with Gman that I think this might not apply to quite a few of the younger viewers on here. So thank you for the feature, but better to leave that spot open for a topic that pertains more to most of the members. Its still a great topic nonetheless, and i want it to be featured for the day or two :). My memory of the Son of Godzilla dub is almost ziltch, so that's probably why I don't put it up their with the more notable improvements. I'll look for some clips of that dub when I get home to see if I can refresh my memory. If you can ever find it for a price under $100, splurge for the first edition DAM release. You'll be surprised by not only the Titra dub, but a lot of other goodies. As far as DVDs being released with the Titra dub, I don't see that happening ever. 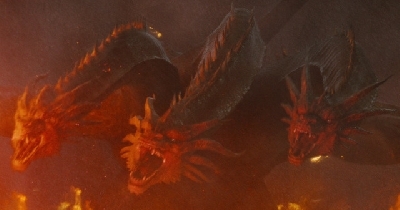 For whatever reason Toho is dead set on replacing all of the previously released movies with their international dub. For the sake of having a full moving with a dual language Japanese/English audio track that first the picture, this makes sense. For those who live off of nostalgia it's a kick in the teeth. Personally it doesn't both me that much. As I said, I only watch the Japanese versions of these films, but there's a historical piece of these movies that's slipping into the void. I don't much care for that. Wish the dubbing from the VHS version of G vs Sea Monster was available on DVD/bluray. The current version is horrible. Well Gman if you could ever find it I would recommend watching the Dub of Son of Godzilla a lot of the same actors from Ebirah, Horror of the Deep are used again, so if you enjoyed their performances chances are you'd feel the same about Son of Godzilla. Excelent, excelent topic! I grew up with the Titra dub for Mothra vs Godzilla (Godzilla vs The Thing), and have sought out a few other dubs they did because I enjoy the performances so much! Today the stacato Japanese accents would NEVER happen due to our overly politically correct society, but I think it added character! I have recently enjoyd the Titra dubs for the INSANE Starman films, and I love 'em! I dont mind the Showa international dubs that much, largely due to nastalgia. I'm only 21, so I never saw the AIP dub of Smog Monster or the earlier Titra dubbed films like Sea Monster and Son of Godzilla growing up. But after all these years of collecting, I've tracked down VHS tapes of the Titra dubbed versions of many of the Godzilla films, simply for completionist sake, and because its a version of a Godzilla film I have never seen before! No doubt, Durp. 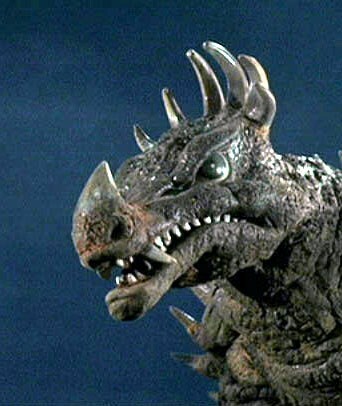 I got a chance to listen to some scenes briefly, but now I find myself having a hard time remembering the Son of Godzilla international dub. Again... Me and dubs just don't intersect very often. I might pop in Sony's Son of Godzilla DVD and watch some key scenes for comparison later. One of the only VHS tapes I own is Son of Godzilla that my uncle gave me. I really liked the dubbing on it. When I got Son of Godzilla on DVD I was surprised that the people sounded different. I prefer the Titra dub for the only movie I have to compare. Damn, it feels fine to be a German fan. I really don't wanna sound harsh, but the German dubs are usually top notch. Great voice actors, most of the time even quite famous ones. I remember that the guy who is the German voice of Luke Skywalker also voiced one of the main characters of Return of Godzilla. I guess it is due to the fact, that voice acting is quite a thing here in Germany, whereas in the US voice acting is not thaaat important, because most movies are simply from the US. ^Interesting. 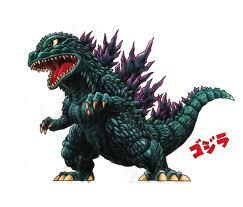 Benni, what distributors handle the Godzilla movies over there? Does it usually correlate with what voice actors are chosen? Wow I haven't watched a titra dubbed movie since I made this post. Might be about time to dust off the dusty VCR and put one in. I hated the new dubbed version of Godzilla Vs. Hedorah. I can only watch the subtitled version on that DVD. Ken's voice is very annoying and his dialogue is really played down. Can't stand it. 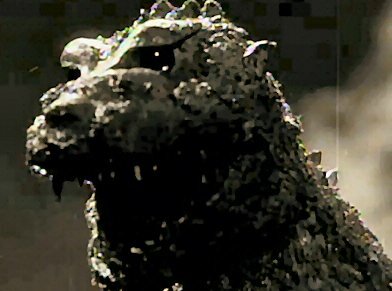 However I can understand the need to over dub Godzilla vs The Sea Monster. The original opening scene was added to the Tri-Star release. So i get it. You cant have the opening scene with the main character have one voice and then a completely different voice the rest of the movie. Im glad i own both versions. Criterion will likely be bound by Toho's whims. Toho prefers overseas distributors use their international dubs (if one exists for the movie), so I wouldn't expect there to be multiple options for films with in-house dubbing and international dubs. Based on what was available for streaming, it seems Criterion will be using the international dubs when available. The Classic Media DVD for The War of the Gargantuas included the UPA version of the film, while the Criterion-licensed stream had the previously rarely seen international dub synced to the Japanese cut. Which is a shame, since the UPA dub is much better than the international one. It's kind of interesting, since Toho's original Japanese VHS release of the film apparently included the UPA cut along with the Japanese version. Have any of these been released on DVD or Blu-ray in the United States I know of DAM but I'm not sure on the others. The rest were only on VHS releases. Though the AIP dub of Hedorah was also released on Laserdisc.